After 35 years a leading figure in Doncaster’s drug and alcohol services has decided to ‘call time’ on her career. Helen Owen, was the Team Leader of the Single Point of Access (SPOA) at Rosslyn House in Aspire and also the Chief Executive of local charity Doncaster Alcohol Service (DAS). Helen first started working in the drug and alcohol field when she was appointed Director of the newly formed DAS charity in 1982. More recently she moved to work alongside Aspire delivering on a sub contract and providing the team leader function in SPOA. 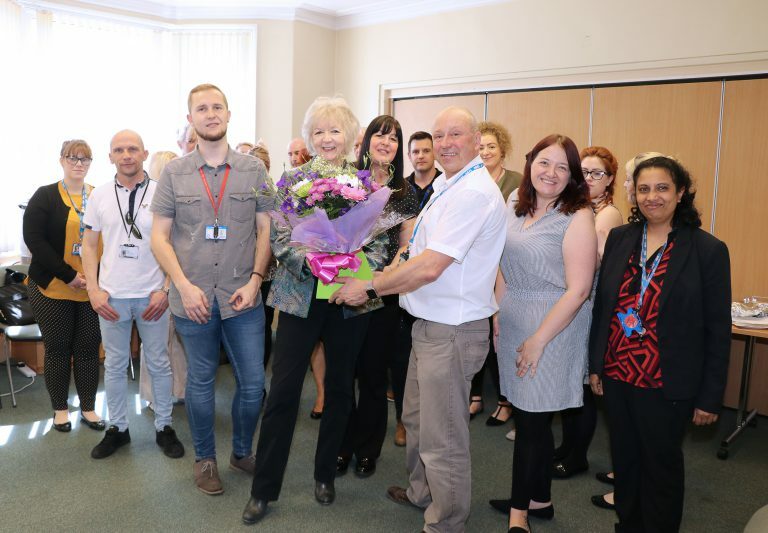 Over the years she has been instrumental in supporting the setting up a first rate drug and alcohol treatment and recovery service for the people of Doncaster and was involved in the launch of Aspire’s online Live Chat service to give local people easy access to drug and alcohol advice. She worked with partner agencies across the borough to support the Aspire element of a project offering coordinated support to vulnerable homeless people. Other projects included the creation of a social hub at Rosslyn House for service users. Helen’s last working day was April 20, 2018 and her colleagues from both Aspire and DAS held retirement celebratory events for her. Helen will be succeeded in the role of Chief Executive Officer of DAS by Callum Dixon.